As we get closer to spring there's pretty much only one thing I'll miss about the cold weather - my skin not being as oily. I find it easier to deal with a few dry patches in the winter than control my oil in the warmer months. This season I'm prepared with Bioderma's Mat Control Moisturizer. This moisturizer is suitable for those with sensitive skin that is combination to oily. The FluidActiv complex works to prevent blocked pores which in turn, reduce blemishes. Along with helping control oil, this moisturizer also refines texture and tightens pores. Packaging | The Bioderma Mat Control Moisturizer comes in a convenient squeeze tube. Considering this product is for those with oily, and presumably acne prone skin, this packaging is ideal to keep each use as sanitary as possible. Formula | For being a mattifying product, this moisturizer feels surprisingly light on the skin. Many oil control products containing dimethicone tend to feel heavy and thick. Since many skincare routines include multiple steps, it's nice to have each layer be as lightweight as possible! Performance | I was really impressed with the results of this moisturizer. Upon first application, every bit of shine disappeared from my face. Even after washing my face, this moisturizer mattified even the "clean skin shine." I was pleased with the results even prior to putting on makeup! My skin was free of shine but looked more even and refined. Even my pores were less visible, which was a major bonus for me! Having a product like this allowed me to use lighter foundations so my skin could breathe and not feel so weighed down. I also found that my foundation didn't break down as much because my oil was reduced. That's a great feeling especially as we head into the warmer months. I'm really glad I discovered this moisturizer before the heat of summer! If you're looking for a great moisturizer to control oil, I highly recommend checking out the Bioderma Mat Control Moisturizer. 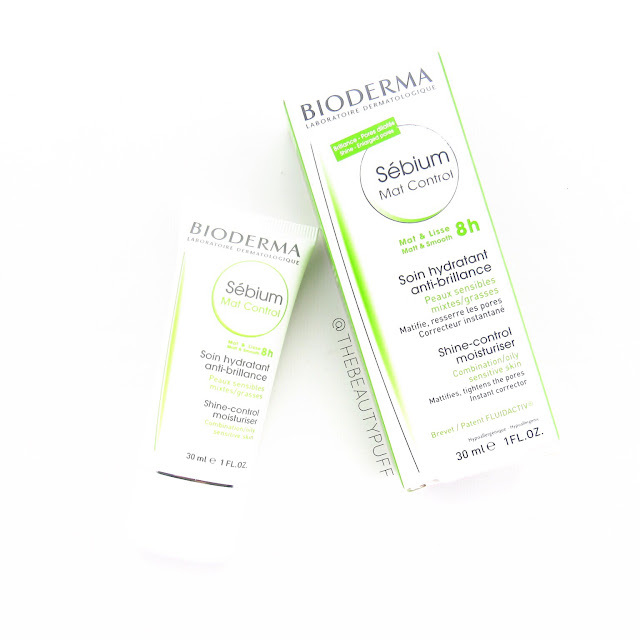 You can find it below on Notino's website along with more Bioderma products.